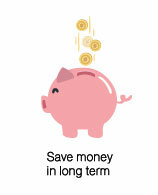 Reduce the electricity bills with out , Having to invest. Private PPA or Private Power Purchase Agreement is a contract between two parties of private company. 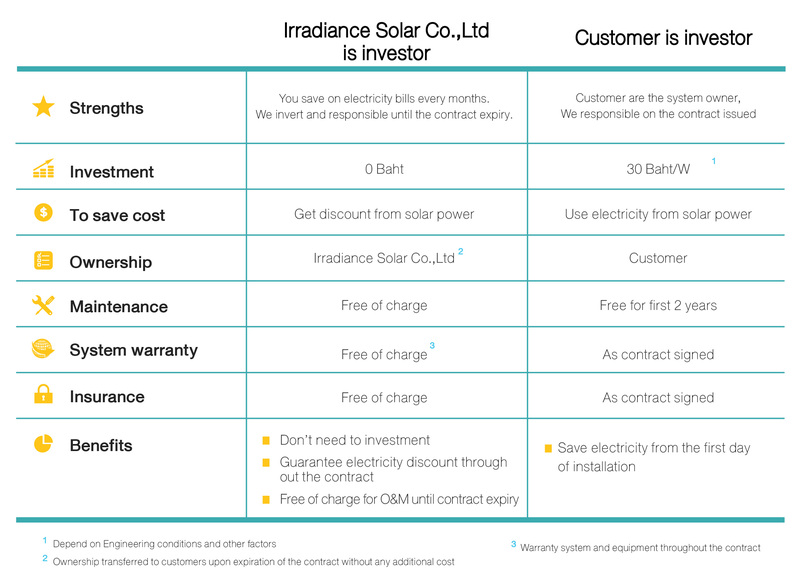 The investor company will be install solar rooftop and sale of electricity to project owner with the cheaper price then buy from PEA, without any expenses in the investments Irradiance Solar Co.,Ltd which is produce the solar system and PV Module also provided installation , operation and maintenance solar system in Household , Organization , Business customize ,only pay monthly electricity bills base on flat rate to made in long run by electricity PPA rate model it will be cheaper than paying the electricity to government. By ensuring the valuable that the solar power to operate electricity is also their own. The energy is still clean and environmental friendly. 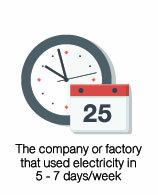 "Reduce electricity bills in factories. Equal to lower production costs." "Change the roof as income." Who is appropriate with Private PPA ? 1. 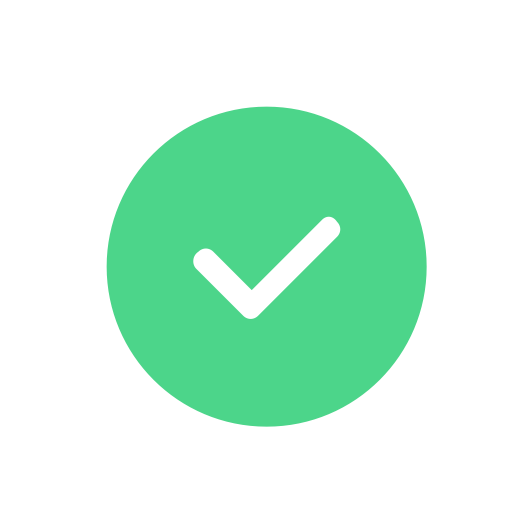 To ensure physical of your business and load profile. 2. To do location survey and capacities calculation. 3. To make the design (layout) of solar system. 4. To do contract agreement. 5. To install solar system. 6. Start to reduce electricity bills immediately. 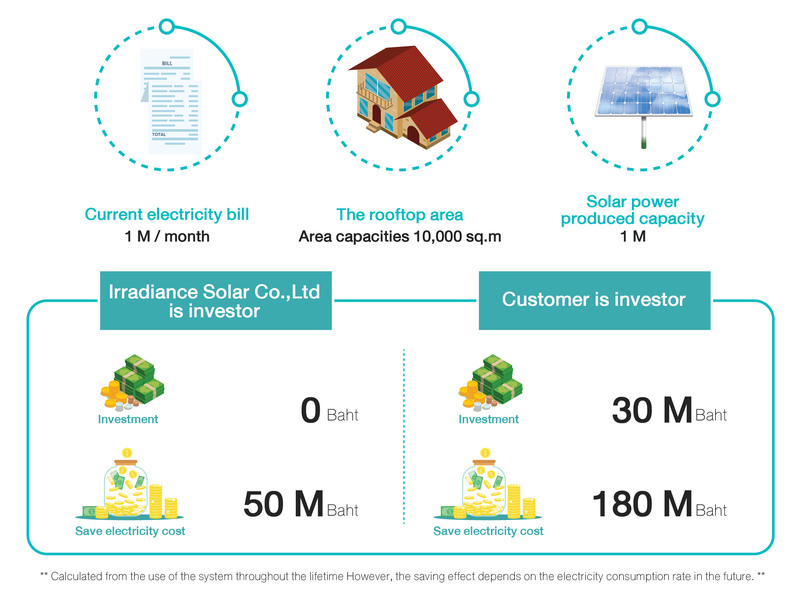 Advantages of Using Solar Power System ? Owner or Client will use electricity from two sources is used power from PEA and from the solar rooftop by counting the electricity used. It is based on the meter of each power source. 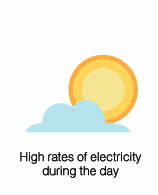 So the power consumption of the solar rooftop will reduce the burden of electricity from electricity. 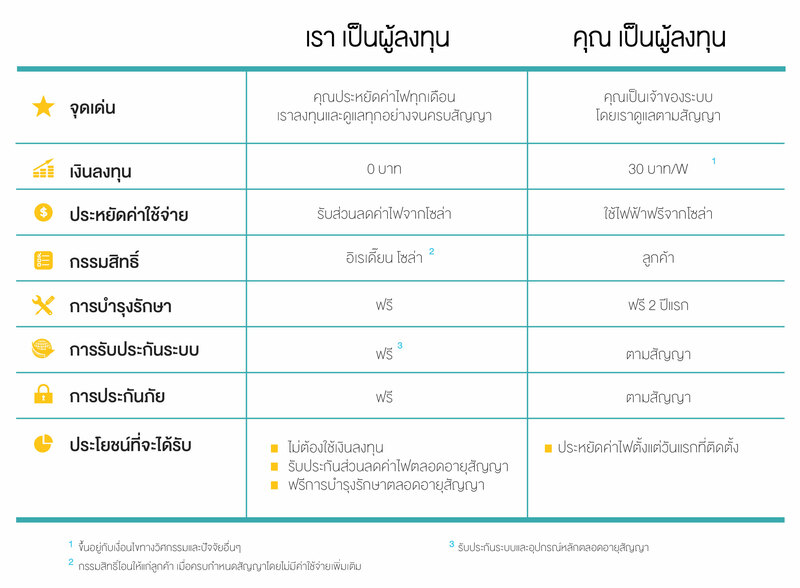 Chart of cost reduction of electricity from Private PPA model. The rate that will use is flat late, we will calculate from unit used and charged at an equal or less then PEA rate. 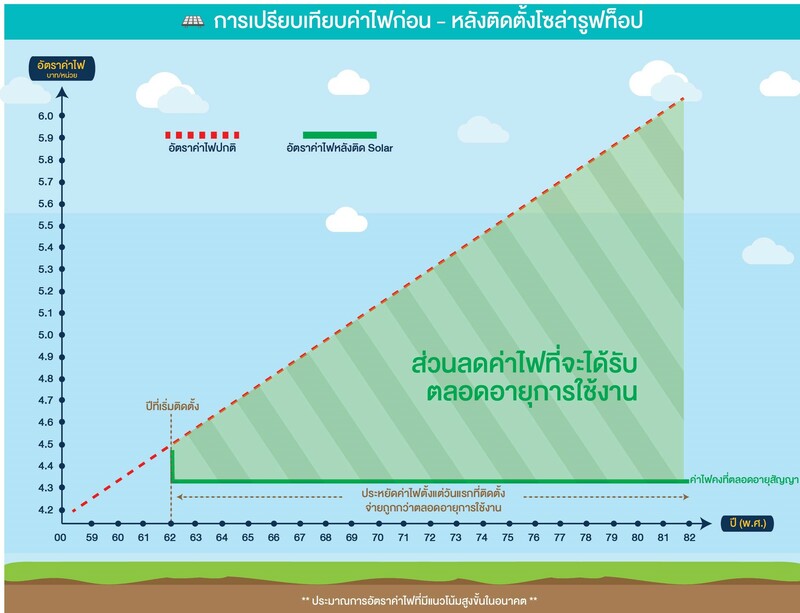 In long term, your expense will be decreased and you can have your clean energy and environmental friendly. **The advantage is in the contract price does not vary like normal rate so the client has a electricity discount. 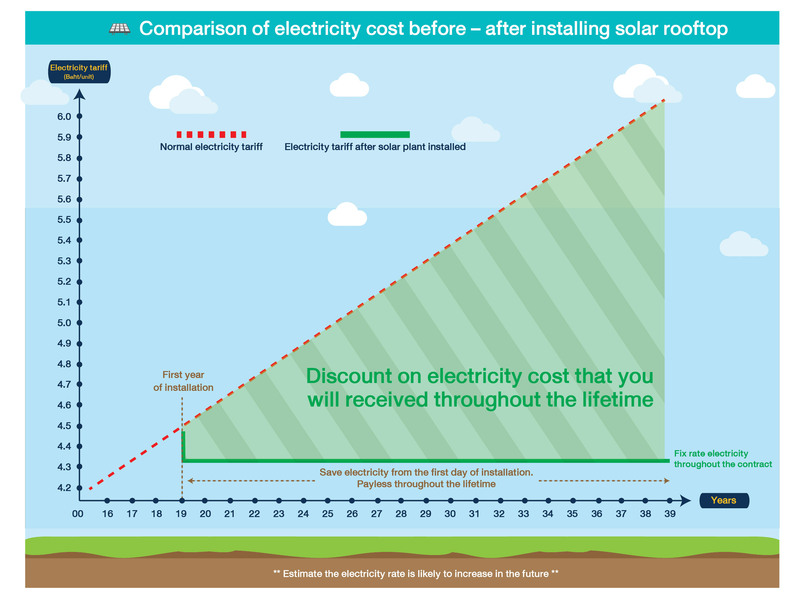 What’s is the benefit installing solar rooftop when you do the PPA modal with IRRS. ? Can provided in long term electricity bill are reduced. Low investment but high profit return. Grow up on your business along with renewable energy are clear. IRRS responsibility in permit required from government and operation fee. IRRS provided one stop services during design, install, operation & maintenance. 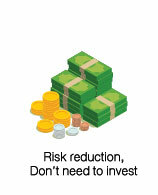 IRRS guaranteed the reduction cost of electricity bill throughout the contract period. Ownership of the system and equipment given to you after the expiration of the contract.
" Startup to install , Get reduce your electricity "
Welcome to join Private PPA with us.